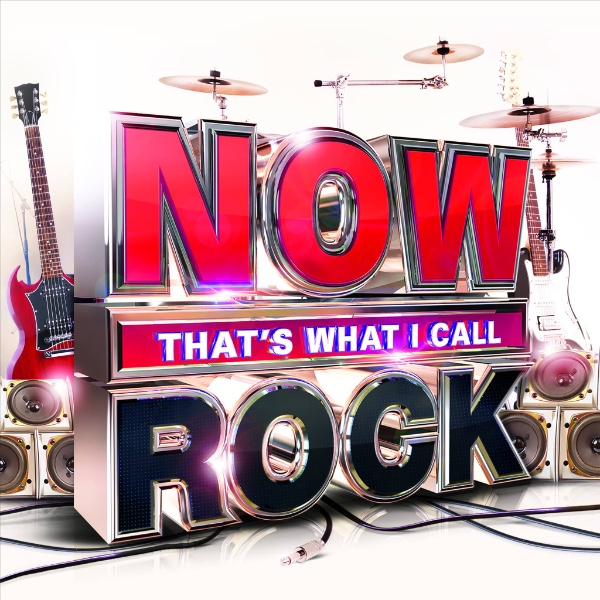 (New York, N.Y.): NOW That's What I Call Rock!, the latest installment in the massively popular NOW multi-artist hits anthology series, will be released on Friday, January 22, 2016. The recent success of rock artists Bring Me the Horizon, Imagine Dragons, Elle King, X Ambassadors, and Florence and the Machine indicates a serious renaissance in rock music. As 2016 opens with Coldplay's scheduled performance at the Super Bowl Halftime Show and a spring season filled with sold out, rock-focused concert events, such as the "can't miss" Rock on the Range and Carolina Rebellion festivals, as well as NYC's Governors Ball, it's the perfect time for NOW to debut its first "Rock" edition. The new NOW Rock! collection offers music fans the opportunity to enjoy a carefully curated and eclectic selection of chart-topping and best-selling hits by Royal Blood, Shinedown, and more. The collection features a variety of acts that span the spectrum and sub-genres of rock music, making it a truly vast listening experience. NOW Rock! offers something for everyone, from alternative to hard rock, and provides a panoramic view of the current rock landscape. NOW Rock! will also boast NOW's ever-popular "WHAT'S NEXT" feature, which includes three up and coming artists that represent the future of the genre. The first NOW That's What I Call Rock! titled collection to be released in the U.S., NOW Rock! includes 18 top tracks from today's rock music superstars while introducing three exciting new artists. 1. Bring Me the Horizon - "Throne"
2. Shinedown - "Cut the Cord"
3. Fall Out Boy - "Uma Thurman"
4. Royal Blood - "Little Monster"
5. Seether - "Words as Weapons"
6. Cage the Elephant - "Mess Around"
7. The Struts - "Could Have Been Me"
8. Imagine Dragons - "I Bet My Life"
9. Cold War Kids - "First"
10. Walk the Moon- "Shut Up and Dance"
11. X Ambassadors - "Renegades"
12. Chris Cornell - "Nearly Forgot My Broken Heart"
13. Nathaniel Rateliff & The Night Sweats - "S.O.B." 14. Elle King - "Ex's & Oh's"
15. Florence + The Machine - "Ship to Wreck"
16. BØRNS - "Electric Love"
17. Breaking Benjamin - "Failure"
18. Red Sun Rising - "The Otherside"
19. Failure Anthem - "Paralyzed"
20. Devour the Day - "Lightning In the Sky"
21. Wolf Alice - "Bros"
NOW That's What I Call Rock!is a joint venture from Universal Music Group and Sony Music Entertainment. This release is part of the multi-platinum NOW That’s What I Call Music!compilation series, the world’s best-selling multi-artist albums with sales topping 250 million worldwide, including more than 97 million in the U.S. alone. NOW and NOW That’s What I Call Music! are registered trademarks of Universal Music Group and its affiliates. Copyright © 2016 Amy Sciarretto, All rights reserved.